We are the LIGNIA Wood Company, a British-based manufacturing business that over several years has developed and fine-tuned a unique and patent-pending process for modifying softwoods into timber with all the performance and visual aspects of hardwoods. Our management team has worked for many years in the timber industry, including yacht deck manufacturing, and also in the associated supply chains around the world. LIGNIA Yacht will be available from the first quarter of 2019 from our purpose-built manufacturing plant in Wales, the first in the UK to produce such modified timber. We are selling LIGNIA Yacht through established international and specialist timber stockists that have worked in the marine industry for decades. Our aim is to enable the marine world to specify our LIGNIA Yacht modified timber so that yacht builders and deck manufacturers won’t need to buy and use endangered hardwood species from tropical rainforests as much as they do now. So, we focus on manufacturing a beautiful, real wood alternative that performs as well as hardwoods for yacht decks, but which comes from sustainable softwoods. 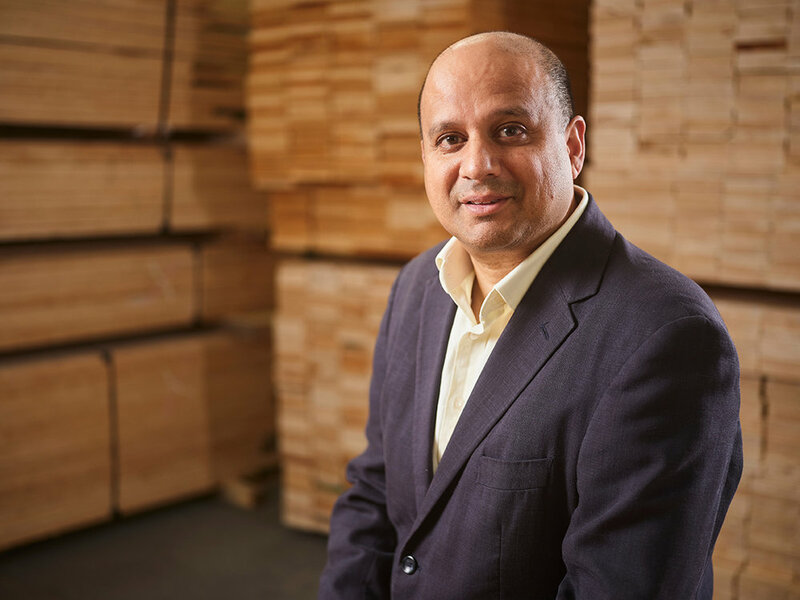 Hans has worked for over 30 years in the hardwood timber industry, including at Sales Director and Managing Director levels, for markets in the UK, Europe, USA and Asia. He has global experience of hardwood production, sales, application of product and of leading and motivating teams across continents. Hans is committed to a more sustainable way of working in the timber sector and of conserving precious stocks of hardwoods in tropical rainforests. Having first-hand experience in grading and supplying wood for thousands of yacht decks around the world he is no stranger to the exact standards expected. Andy is a wood scientist with interest in the protection of wood in service. He has a master’s degree in Forest Industries Technology and a PhD in wood protection. Andy spent 15 years conducting research at the Forest Products Research Centre and eight years at TRADA as Technical Manager. In this role, he was involved in testing of timber products, assessing performance of timber in service and providing guidance to specifiers on selecting appropriate timbers for projects through in-practice CPD and RIBA events. He sat on British Standards Committee B5-15 and sits on the Wood Protection Association’s Technical Committees for Fire Protection and Wood Protection. Andy is preparing LIGNIA for the implementation of Quality Management processes under ISO. Andy also plays a role in development and testing of new products. Justin is an Electro-Mechanical Engineer with 35 years’ project management and engineering experience in building and commissioning plants around the world. Justin specialises in product testing and R&D, going from concept design through to completion; he has overseen the design, build and commissioning of the LIGNIA manufacturing plant and has brought together a multi-national effort of leading experts in plant machinery. Steve heads up LIGNIA’s global commercial activities and has worked in the timber industry since leaving school. Steve joined Meyer International as a group management trainee and qualified with the Institute of Wood Science. Steve worked for a leading international timber company as Product Director for 15 years before joining LIGNIA. Steve is developing markets for LIGNIA with leading timber distribution companies and stockists around the world. Bronia took her doctorate at the Biocomposites Centre of Bangor University and has over eight years’ experience of both academic and commercial R&D at lab and pilot scale. Her work has been presented internationally, published in leading journals and she has contributed chapters to several scientific textbooks. Bronia liaises with our knowledge transfer partner Bangor University, connecting scientific expertise directly with LIGNIA innovation, towards optimising LIGNIA’s research and development. Chris qualified as a Chartered Accountant with KPMG in 1982 and has worked as a CFO and FD for several early stage companies in high tech sectors in both private and listed companies. Chris has a track record of working in technical-ground-breaking companies like LIGNIA that focus on environmental applications – he also oversees the corporate governance of the business as it grows. Dale is our Purchasing Manager with global responsibility for specifying and buying timber from around the world. 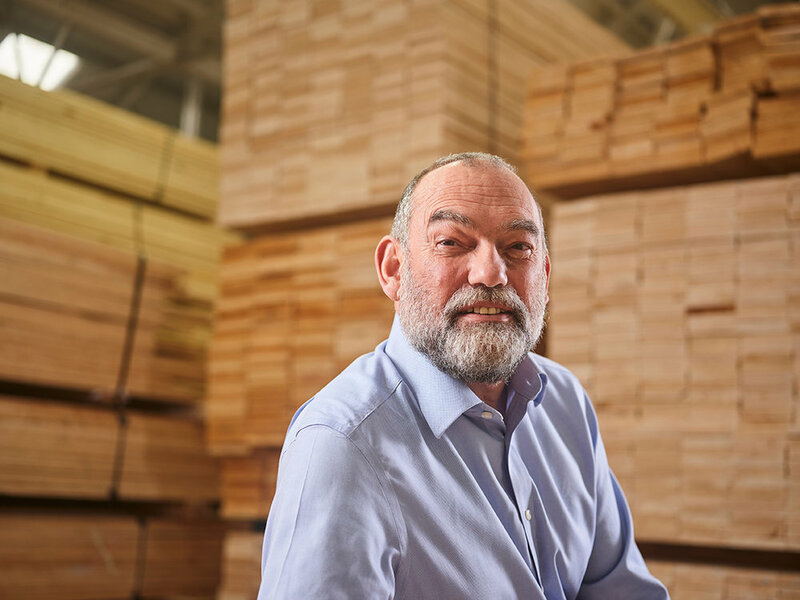 He has over 35 years in the timber trade, sourcing wood for builders merchants, importers and saw mils among others and has worked for major companies such as Saint Gobain and Stora Enso. Dale is developing and maintaining relationships with managed plantations that are committed to full sustainability and transparency. Nigel has over 20 years of strategic marketing experience, gained mostly in the built environment, and corporate governance fields in the UK. He is a Chartered Marketer and a Fellow of the Chartered Institute of Marketing and focuses mainly on the strategic applications of marketing to commercial settings, including working with distributor companies. Nigel has spent many years honing his brand development skills and he advises and assists LIGNIA partners.